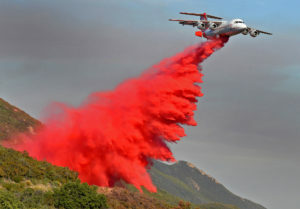 Neptune Aviation is the most reliable and innovative aerial firefighting company in the nation. As the primary provider of large airtanker services to the United States Forest Service for more than 25 years, Neptune Aviation has proven to be an invaluable partner. Neptune Aviation employs a proficient cadre of A&P mechanics, FAA certificated repairmen and pilots who meticulously maintain and operate a fleet of 9 BAe 146 firefighting aircraft. Unwavering in our commitment to recurrent training and quality assurance, and adhering to the most stringent safety standards in the industry, Neptune Aviation is proud to serve our nation’s ground wildfire crews as the undisputed leader in the aerial firefighting industry.